CAPE CANAVERAL, Fla. (CBS/AP)  NASA has delayed the launch of its newest science satellites. 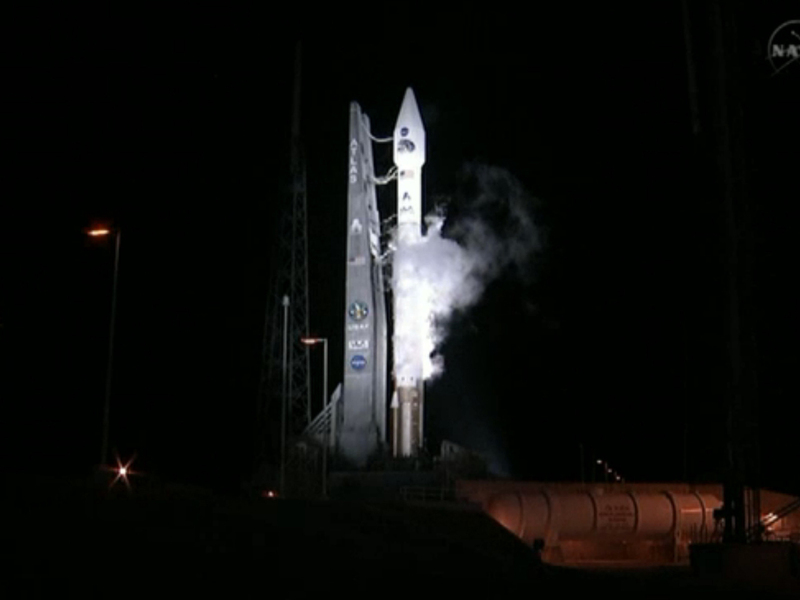 The countdown proceeded all the way down to the four-minute mark early Friday morning at Cape Canaveral in Florida. But a problem cropped up with the rocket's tracking beacon, a mandatory safety item. NASA tentatively is aiming for another launch attempt early Saturday for the Radiation Belt Storm Probes  provided the problem can be fixed quickly. Launch director Tim Dunn says engineers need to determine whether the problem is with the beacon itself or ground equipment. There will be a 20-minute launch window Saturday, assuming the transponder issue can be resolved in time, reports CBS News NASA consultant Bill Harwood, who adds the preliminary forecast calls for a 60 percent chance of acceptable weather at that time. Harwood says replacing the transponder would mean rolling the rocket back to its processing building, likely delaying launch to early next week. The twin satellites aboard the Atlas V rocket are designed to study Earth's Van Allen radiation belts. Scientists say the spacecraft will improve space weather forecasting. Solar storms can damage spacecraft and disrupt life on Earth.